The New Jack O'Lantern City tier of The Great Pumpkin Beer Challenge was dominated by 2012 GABF’s Gold Medal winner (a fact that we learned after…promise!) in the pumpkin category, Stevens Point Whole Hog Pumpkin Ale. This beer has a great sweet malty backbone accompanied with a delicious pumpkin pie aroma that finished slightly dry. A very well balanced beer that we could have drank several more bottles from Bottles and Cans. 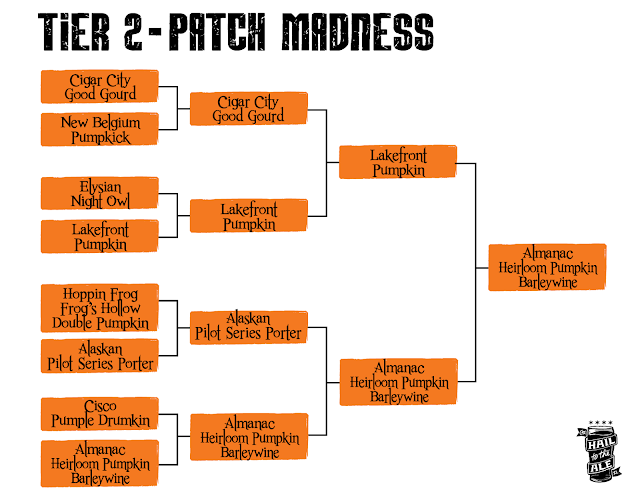 The Tier 2 bracket was true Patch Madness style pitting the different regional craft brewers of the United States against each other. We were intrigued at the thought of adding a barleywine to this crowded field of various styles and Almanac Beer Co. delivered. Their Heirloom Pumpkin Barleywine is a blend of brandy barrel aged and fresh barleywine that delivers big, boozy notes with huge brandy flavor that transition to pumpkin caramel sweetness. Almanac continuously stood out from the pack to narrowly defeat Lakefront’s crisp Pumpkin Lager. 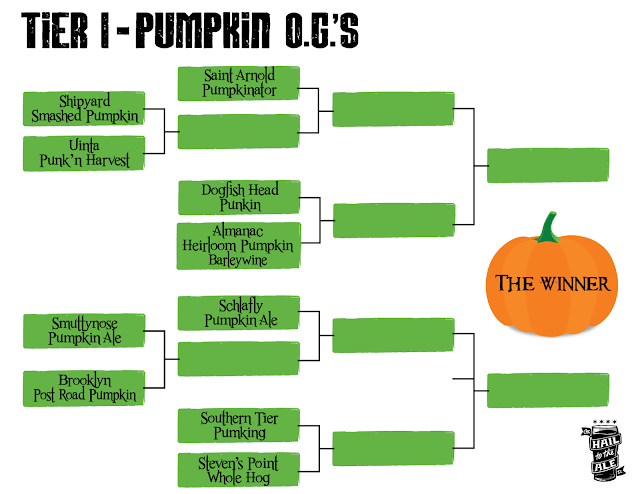 The Pumpkin OG's Tier 1 bracket has two Opening Round matches before the Elite Eight pumpkin beers are decided. 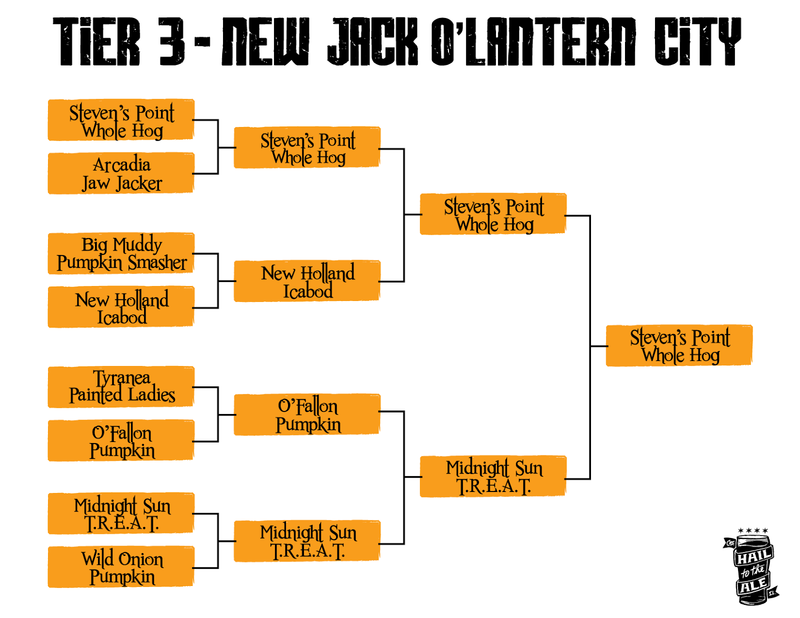 Shipyard’s Smashed Pumpkin battles Uinta’s Punk’n and Smuttynose’s Pumpkin Ale looks to upset Brooklyn’s Post Road Pumpkin. Opening round winners will be announced Monday, October 28th 2013.